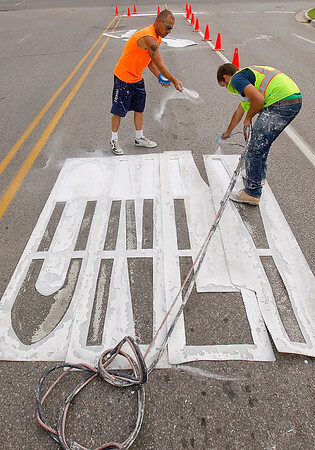 Rob Sly, left, and Dominic James of M and M Pavement Marking of Burton paint a lane of Airport Access Road at its intersection with U.S. 31 in Traverse City. "We've done a thousand since we've been here," said Sly. "Feels like it," said James.